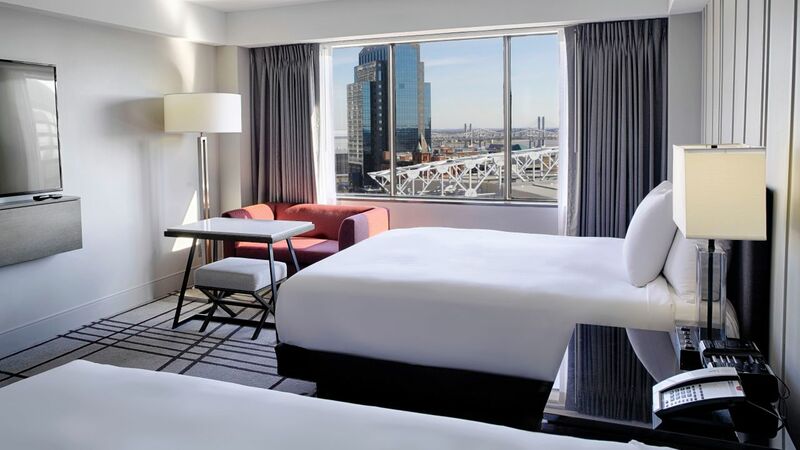 Enjoy the comforts of home at our downtown Louisville hotel. 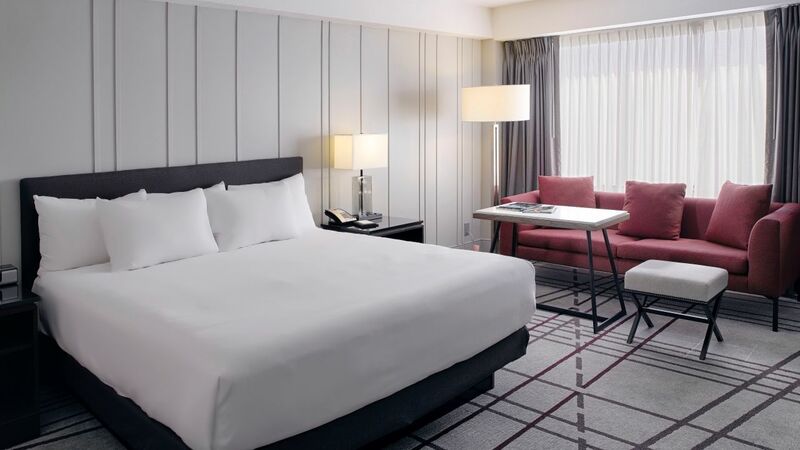 Rooms feature signature Hyatt Grand Beds™, 65” HDTV, work space, large sofa, minifridge, and free Wi-Fi internet. Upgrade to a suite and enjoy an expanded living area with views of the city, separate bedroom, conference/dining table, and luxurious bathroom. 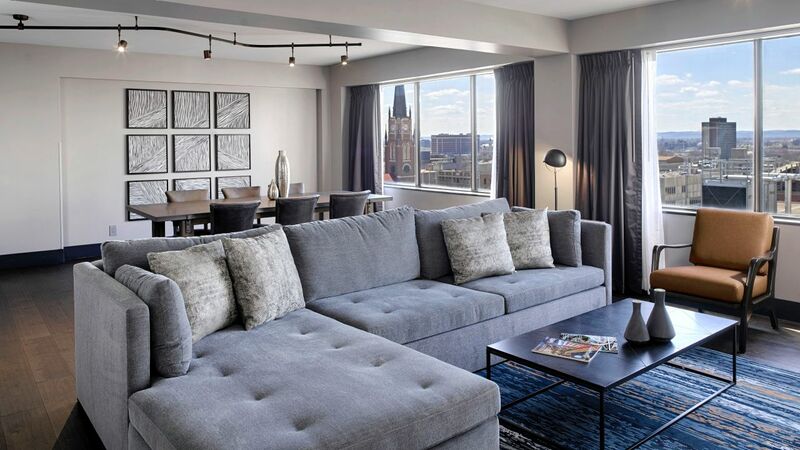 Delight in the ambiance of our most decadent suite with 980 sq ft, skyline views, a living room, a fully equipped kitchenette, and a dining area with seating for eight. This is a standard suite. See World of Hyatt program terms for upgrade eligibility. Treat yourself to a luxurious setting within the Executive Suite, with beautifully renovated settings that comprise 625 sq ft of space, large windows, and a separate parlor room with a couch and seating area. This is a standard suite. See World of Hyatt program terms for upgrade eligibility. Indulge in the 450 sq ft Deluxe Room, with updated furnishings, a seating area with a table and four chairs, and a stand up shower. Gaze out at Louisville from a high floor, and enjoy updated furnishings and a stand up shower in this 365 sq ft space. 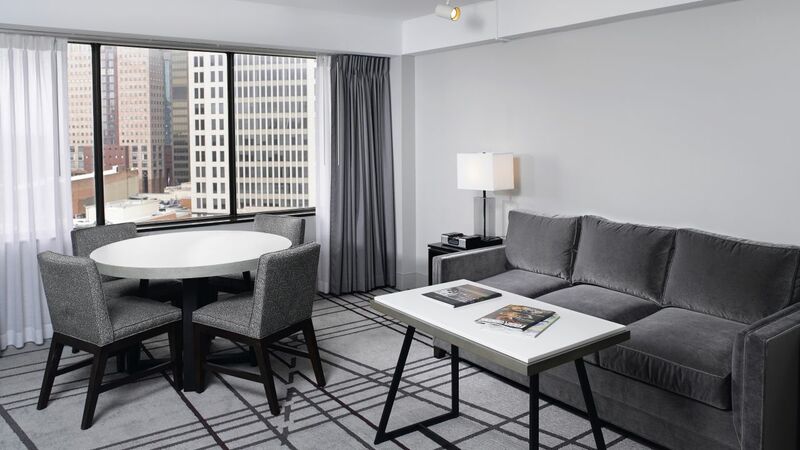 Delight in this room with a view, including 365 sq ft of space, a granite bath, and fully revamped settings. This king-bedded room with 365 sq ft offers space to relax, with a luxurious stand up shower as well as a variety of amenities. Enjoy an updated, contemporary 365 sq ft space with two queen beds, a deep-soaking bathtub, and ambient lighting. With updated settings and accessible features, the ADA King bathtub features 365 sq ft of space. The ADA King Shower guest room offers accessible features and a host of updated furnishings, all amid 365 sq ft.
There’s room to relax in this 450-square-foot ADA compliant room, which boasts two queen beds, a bath with roll-in shower, a grab bar, along with a work desk area.